I recently learned, that prayer has more to it than just helping the person, or situation you are praying about. The benefit is not confined to some future happening, but occurs in those that pray. It is hard for me to put into words, but after praying at my church’s night of prayer, I felt a significant change in me. My troubles remained, but I left with a reassurance, with a refreshment, with a peace that surpassed my understanding. Surprising how easily I forget the power of prayer. The blessings of talking with God. Then have to relearn this with each new trial. In spite of my learning disability, it’s good to know that God is full of compassion and runs to meet me, regardless of my failure to learn. 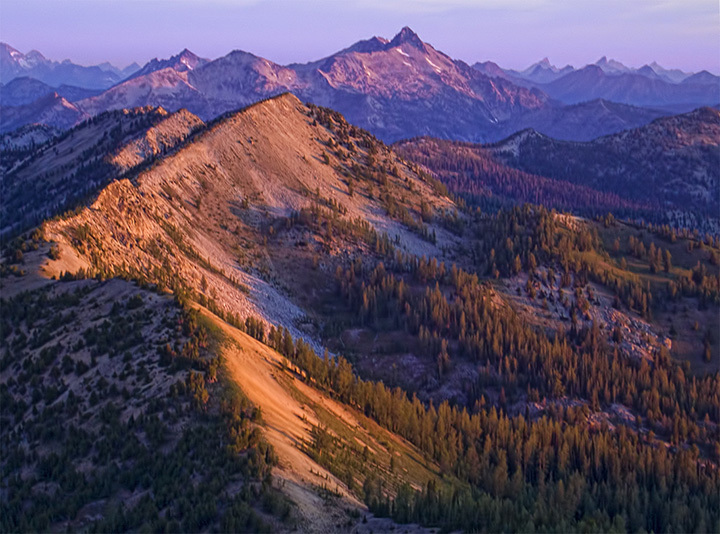 This entry was posted in Photography and tagged Northern Cascades, Philippians 4:4-7, prayer, Sawtooth Range, sunrise by Stephen Hufman. Bookmark the permalink.